Liverpool hit the woodwork twice through Roberto Firmino and Virgil van Dijk during a frantic but goalless first half and had a fair goal from Sadio Mane disallowed for offside. The visitors took the lead through James Milner (61) after Bernd Leno had pushed a Mane cross into his path, but Arsenal drew level through Lacazette's sweet finish from 12 yards (82). 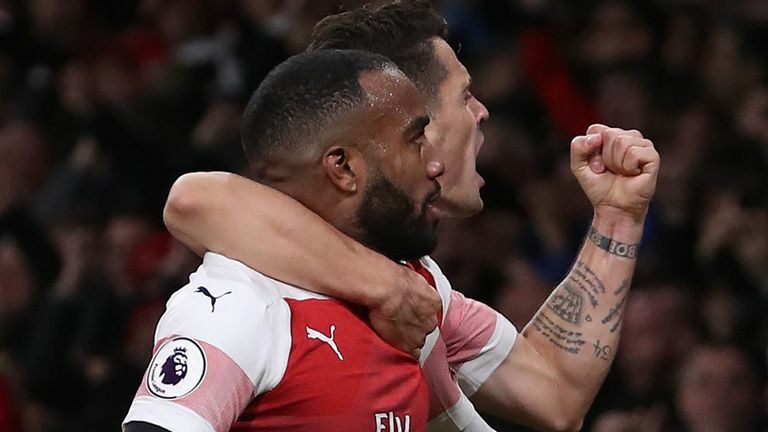 The result means Liverpool temporarily go top of the Premier League ahead of Manchester City's clash with Southampton on Sunday, while Arsenal remain unbeaten in 14 games. The first half was played at breakneck speed with several chances for both sides. Henrikh Mkhitaryan got up above an uncertain Alisson to head just wide of goal from a deep cross, before Liverpool went up the other end and had the ball in the net. Milner's ball over the top of Arsenal's defence found Firmino, who poked the ball against the post only for the ball to fall into Mane's path. He tapped home, but the flag was up, despite Mane being offside from the first phase of play, but behind the ball for Firmino's effort at goal. Arsenal made two changes following the 2-2 draw at Palace; Kolasniac and Mkhitaryan came in, replacing Guendouzi and Iwobi. Xhaka moved from left-back to midfield. 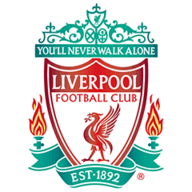 For Liverpool there were three changes; Lovren, Moreno and Lallana came out, replaced by Robertson, Gomez and Milner. Lovren was out of the squad completely due to injury. Leno then saved well from Van Dijk after the defender took the ball down well in the area and shot, before Lacazette struck just wide from an angle at the other end. Lacazette then had a goal correctly disallowed himself for offside, and Liverpool should have gone into the break ahead as Leno's missed punch allowed Van Dijk to glance towards goal and off the post. Arsenal fell behind just after the hour mark as Mane's left-wing cross was tipped away by Leno into the path of Milner, and the midfielder composed himself to drill into the net from 15 yards for his 50th Premier League goal. Moments later Lucas Torreira could only shoot straight at Alisson as the play opened up in front of goal, while Firmino and Van Dijk went close with headers from corners as Arsenal struggled to deal with Liverpool from set pieces. Arsenal got their leveller with eight minutes remaining as substitute Alex Iwobi played Lacazette through on goal; as he half-rounded Alisson, he turned back to goal and found the far corner with a sweet finish after taking a touch to compose himself 12 yards out. A tough choice between Van Dijk and Lucas Torreira, but the Dutch defender just steals it with another superb display. Van Dijk was dominant as Liverpool came under siege numerous times in the first half, and even showed his quality in the opposition box, going close with a fierce header in the second half. Furthermore, his passing accuracy was 94.4 per cent, far and away the best in the Liverpool team and also a game-high. This deserved a clean sheet, but it wasn't to come. Liverpool are unbeaten in their opening 11 matches to a Premier League campaign for the first time since the 2007/08 campaign. Arsenal have won more points from losing positions than any other Premier League side in 2018/19 (8). Arsenal are winless in their last seven Premier League meetings with Liverpool (D3 L4). Arsenal have not led at half-time in any of their 11 Premier League matches so far this season. However, the Gunners have scored more goals after the break than any other side (19). 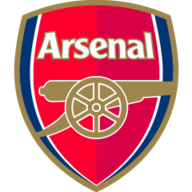 Arsenal now face Sporting Lisbon in the Europa League on Thursday evening at 8pm, while Liverpool go to Red Star Belgrade in the Champions League group stage at 5.55pm on Tuesday.